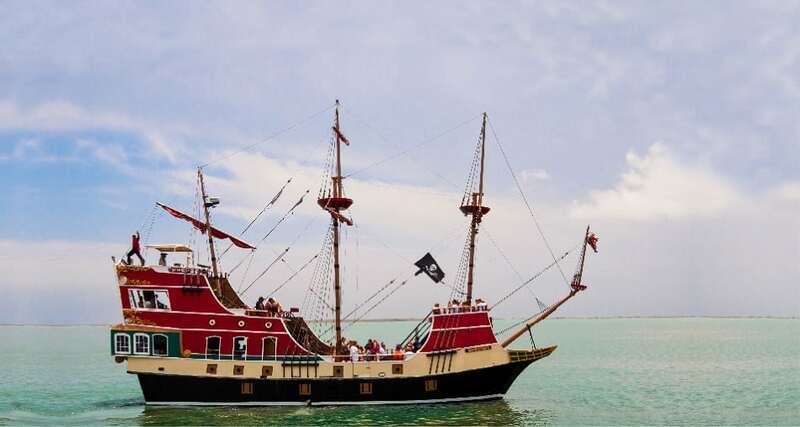 They offer a variety of interactive entertainment aboard a unique 70′ pirate ship. They sail the waters of Aransas Bay just outside of Corpus Christi, Texas. A pirate crew entertains with activities that include sword fighting, music, and dancing.